The 2019 NFL Draft will begin on April 25th and carry through to the 27th. This will be a crucial draft for the New York Giants’ future. Having plenty of draft picks will be beneficial for them as they try to find talent to add to a 5-11 roster. It was originally predicted that the Giants were going to have 11 draft picks. However, it is now confirmed they will only have 10. The Giants have been awarded a compensatory pick in the 2019 NFL Draft. Many thought the Giants would receive more than one pick, but that is unfortunately not the case. Where Are The Giants Picking? The compensatory pick that the Giants have received is a 5th round pick. It is pick 172. The Giants now have 3 draft picks in the fifth round. The other pick was acquired by trading Damon Harrison to the Detroit Lions. In the fifth round, the Giants will be picking back to back. They have the 143rd pick and the 144th pick. Then again, of course with the 172nd pick. This is not the only round the Giants have multiple picks in. In the fourth round, the Giants own two picks. They have their own pick (109) and they have a pick acquired via trade (133). The Giants have the Saints’ fourth round pick that they gained by trading away cornerback Eli Apple. In the sixth round the Giants have just one pick. It is pick 181 and it is their own. In the 7th round, the Giants have two picks. neither of these picks are the Giants’ own. They own the Vikings’ pick (234) from trading away center Brett Jones. They also have the Rams’ seventh round pick (247) that they received in a trade in which they also received Alec Ogletree. The Giants do not own a third round pick in 2019. They forfeited their pick when they selected Sam Beal in the third round of the Supplemental Draft. However, they do own their second round pick. The Giants’ second round pick is the 37th overall pick in the draft. Being that it is near the top of the round, the Giants could end up getting a first-round prospect who falls with the 37th pick. 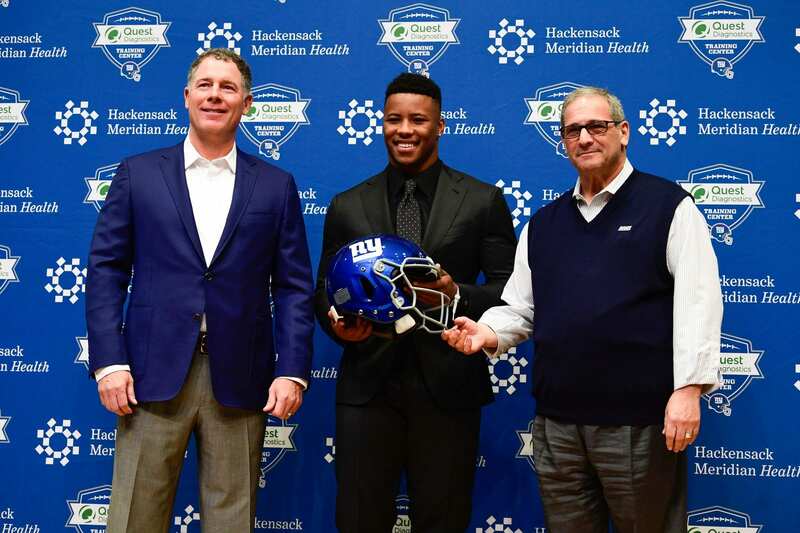 As all Giants fans know, the Giants own the 6th overall pick in the 2019 NFL Draft. It is their third time picking in the top 10 in the last four years. This will be a crucial draft pick for the franchise’s future. The Giants will need to decide wether or not the 6th pick will be used to select their next franchise quarterback or if it will be used elsewhere. What Can The Giants Do With So Many Draft Picks? Having 10 picks in the draft gives the Giants a lot of flexibility. Of course, they could stay put and take 10 players with their 10 picks. However, the Giants could trade up in the draft with so many picks. The more picks, the more trade value. If the Giants love a prospect in the third round, they could potentially trade both of their fourth round picks to move back into the third round and take their guy. These picks could even be traded outside of the draft. The Giants might feel it is best to have a veteran free safety going into 2019. Trading a late-round pick for a veteran could be of great value to the Giants. Last offseason they traded a mid-round pick to acquire Alec Ogletree. Dave Gettleman could look to make a similar move in 2019. © 2019 Empire Sports Media, LLC. All Rights Reserved.